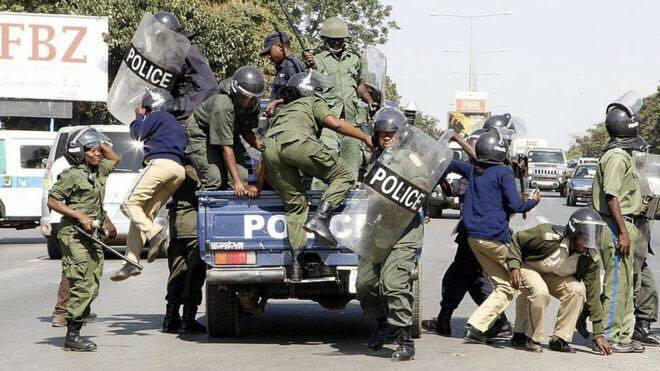 Policemen from Police Headquarters and Luanshya Monday afternoon stormed Prime Television in pursuit of the footage in which Roan Member of Parliament Chishimba Kambwili addressed Avic workers at his residence on November 25, 2018. 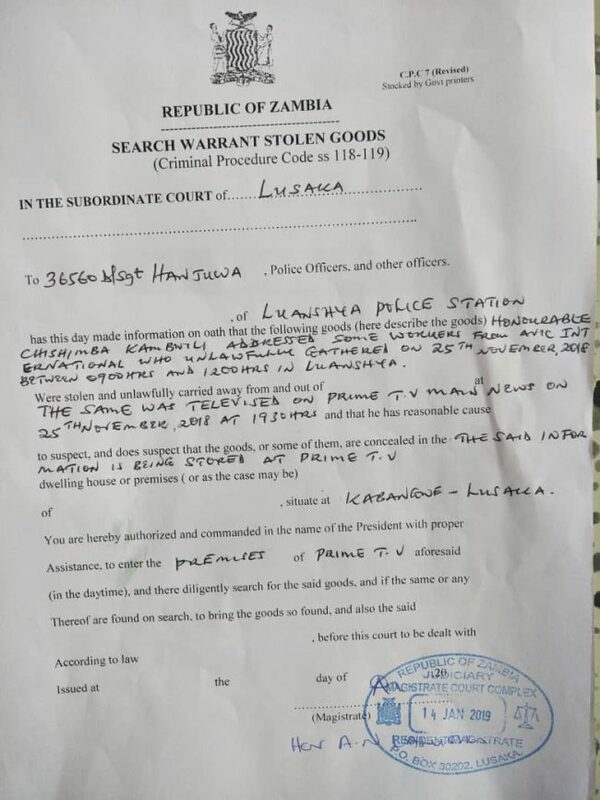 The Two Luanshya Detectives in the names of Austin Hanjuwa and Joseph Mukoma who were in possession of a search warrant were accompanied by Detective Kangwa from Police Headquarters. 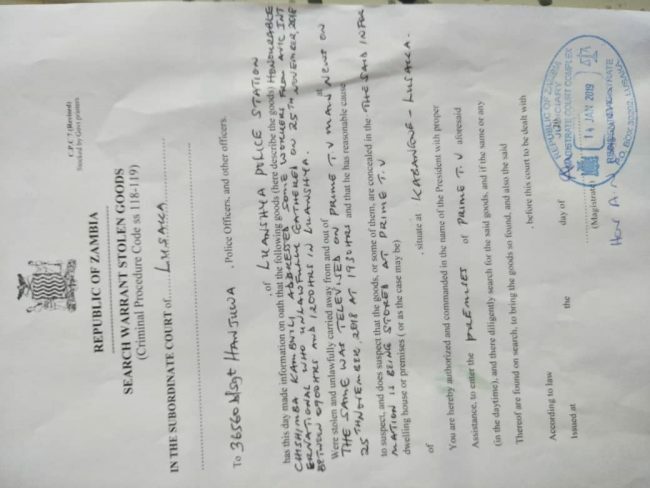 This is a case in which Home Affairs Minister Stephen Kampyongo promised to deal with Mr Kambwili in a heated recording following the Roan Member of Parliament’s move to address protesting AVIC workers over poor conditions of service. 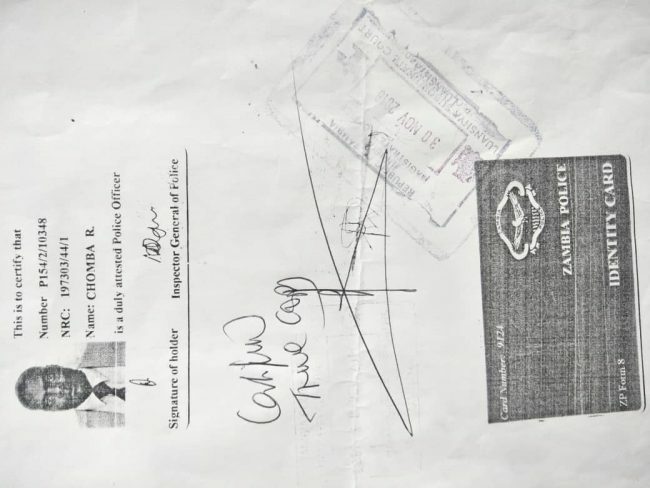 This is the same case which saw Mr Kambwili being arrested from Force Headquarters’ Deputy Inspector General, Bonnie Kapeso’s office on Thursday, November 29, 2018 and immediately bundled in a White Landcruise and taken to Luanshya where he spent a night in police cells before being bailed out the following day. 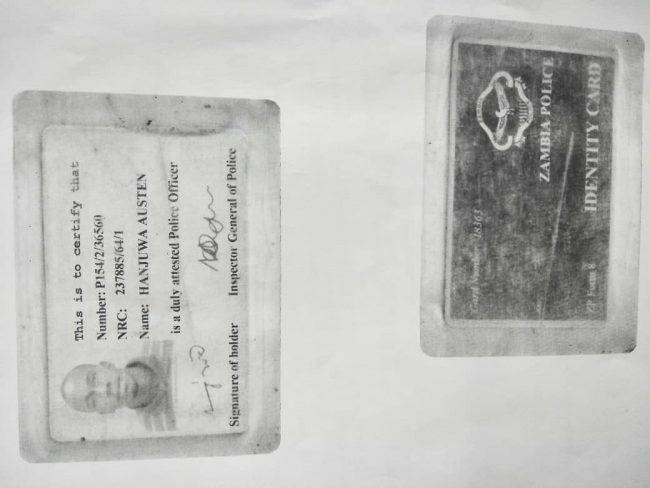 He was charged with unlawful Assembly. 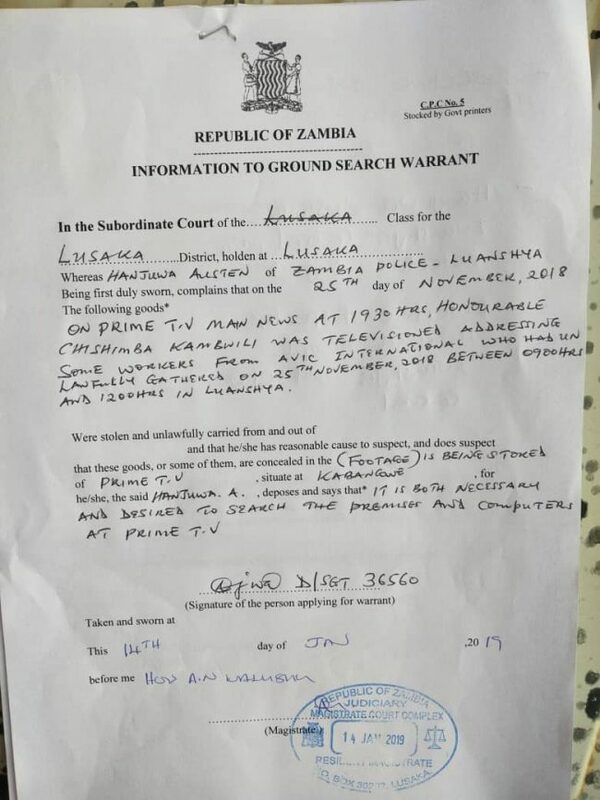 But Prime Television Managing Director Gerald Shawa wonders why the officers should start following up a matter which happened in November last year and the person in question was already arrested and charged. 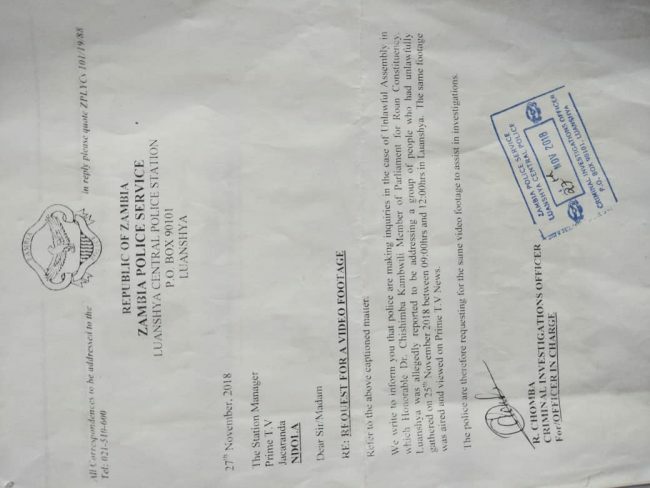 Mr Shawa has since refered the officers to the Independent Broadcasting Authority-IBA.